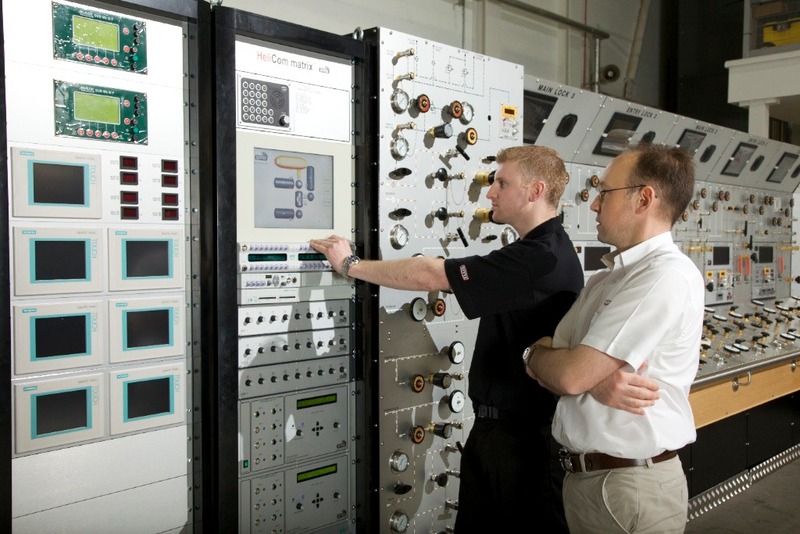 The HeliCom™ matrix communications system has been designed for helium speech communications with the occupants of a complete saturation chamber complex. 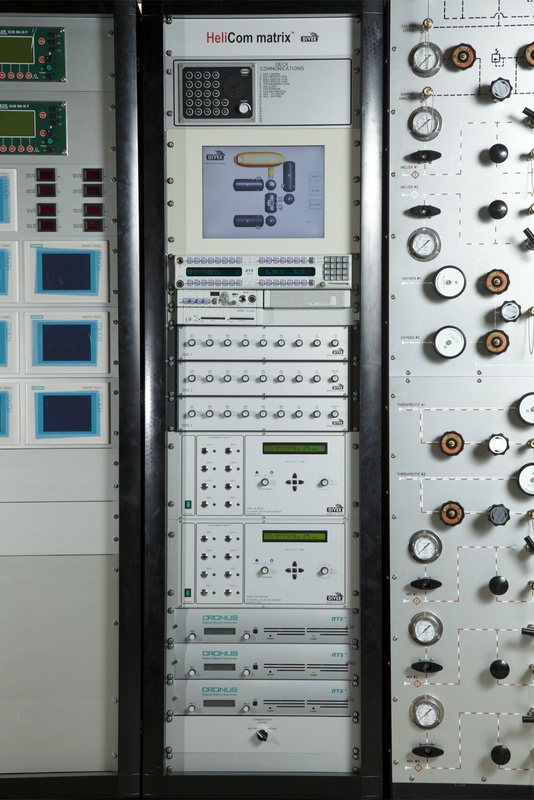 The HeliCom matrix is manufactured into 19” rack(s) and can be configured to operate 8 to 64 channels. The HeliCom Matrix consists of a main communications system, a backup communications system, an entertainments system and a telephone system. Group screen – where any of the channels can be grouped together to allow open comms conversation. Volume screen – where any channels microphone or earphone volume can be adjusted. Telephone screen – where any channel can be patched into an out going or incoming telephone call. Manual – Adjust the depth potentiometer to required depth as and when depth changes take place. Automatic – Unscrambler receives data from the chamber and automatically tracks the chamber depth and adjusts to suit. 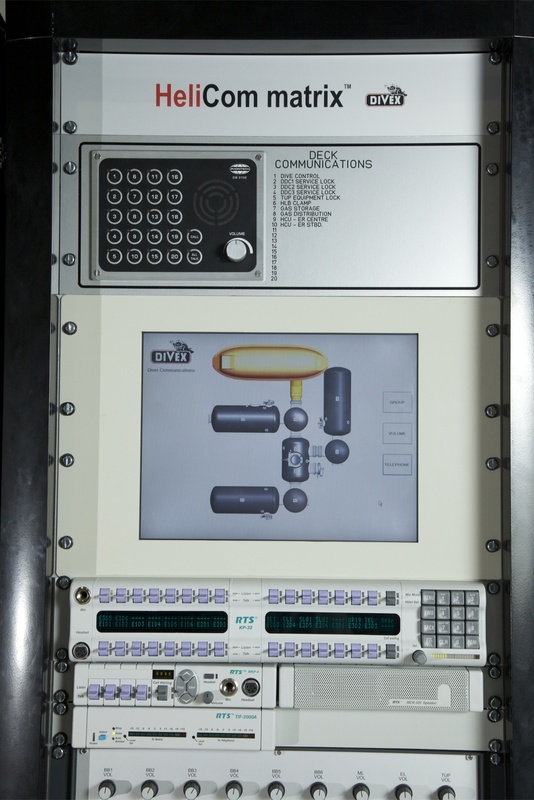 Matrix system – digital matrix which controls all data sent from the touch screen HMI and chamber comms/bunk boxes. There is a master matrix for use with the main communications system and a backup matrix for use with the backup communications system. Backup communications system – Integrated communications system for use in the event of a failure with the main communications system. Simple switchover between main system and backup system. 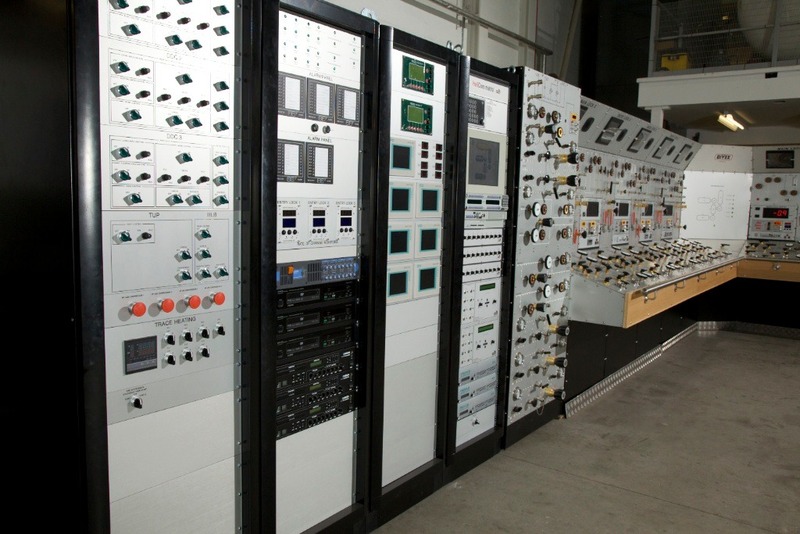 The HeliCom Matrix can be configured to suit the customers requirements. 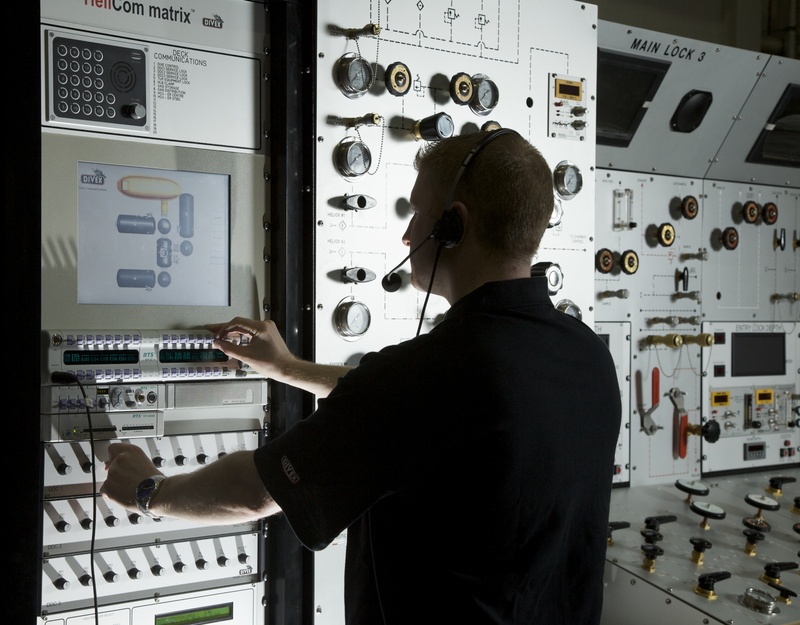 Each HeliCom matrix is tailored to the client and the vessel.